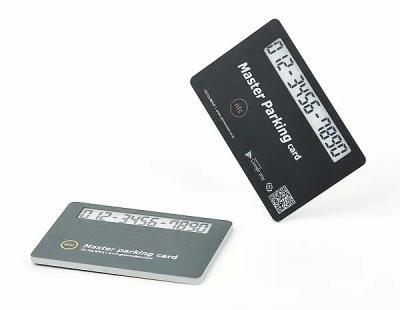 MaterCall is an innovating parking solution that uses NFC/QR and a small numeric e-Paper (E Ink) display to show driver phone numbers. The idea is that people can leave their phone number to the car owner via a simple application. The MaterCall is launching for the Korean market, mostly targeting rental cars. It is available in 'card-type' or 'case type' which is a bit larger but more affordable.